Grabbing the visitor’s attention right away is the best route to make sure they continue interacting with your website. Be concise: It sounds wrong because your instinct is to use all the positive adjectives you can but in this case less is more. Try not to fluff your landing page with unnecessary adjectives and adverbs. Instead try to say as much as you can with as few words as possible. Answer questions: Provide the customer with all the information they might inquire about. Make it easy to understand and easy to read. This could mean that you end up with a pretty lengthy landing page and that’s okay. It’s better to give the customer a satisfied feeling than to leave them lacking. Of course, no two businesses are alike so try a short landing page as well. Don’t be afraid to use an A/B test to find what works well for you (Unbounce). Provide testimonies: Let your customer know that there have been many satisfied customers that came before them and that there will be more afterward. It lets your customer know that they are not alone; they’re joining a community. Leave some space: If you have a long section of text try using bullet points or subheadings to give your customer’s eyes a break. 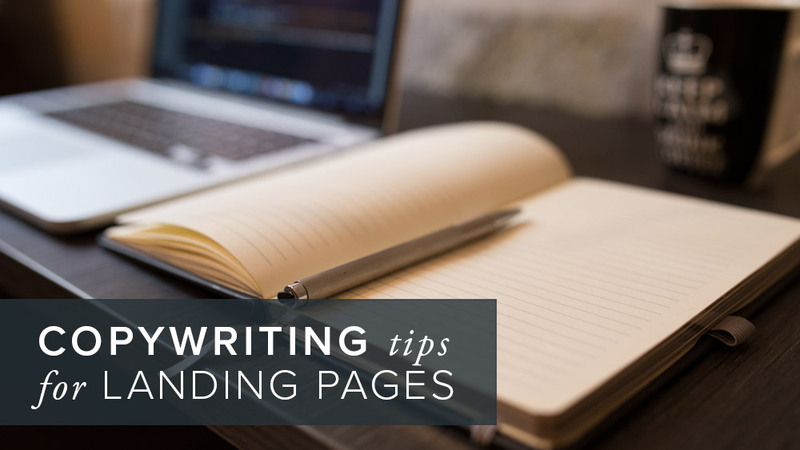 Some white space between your words will keep the visitor from getting eye fatigue and wandering away from your page. Use the lingo: Engage with your customers by usings the same type of language they do. You want your landing page to sound relatable. Read some product reviews to get a feel for what will resonate well. An effective landing page will sell itself as well as your product so the visitor is constantly engaged and interested in learning more about what you have to offer. Give them something they can feel excited about but also something that makes them feel they can relate. Talk to our copywriters here at ALHAUS to make sure you are effectively targeting clients with your landing page!